"Secular congregations may be a good alternative for non-religious people who want the health benefits religious communities traditionally offer," said Dr Michael Price. Price, who led the study, spent longer than six months measuring Sunday Assembly goers' satisfaction with life, feelings of social connectedness and general happiness. As religion's popularity steadily wanes across Western cultures, he wanted to see if non-religious people can tap into the same wellbeing benefits group worship offers. Results just out in the journal Secularism and Nonreligion show going to Sunday Assembly sessions relates positively to wellbeing. Spending 2.5 hours a week doing Assembly activities was linked to an extra 10 percentile points on the UK national wellbeing scale. For example, an attendee's wellbeing score might go from being higher than 60%, to being higher than 70%, of other Brits. 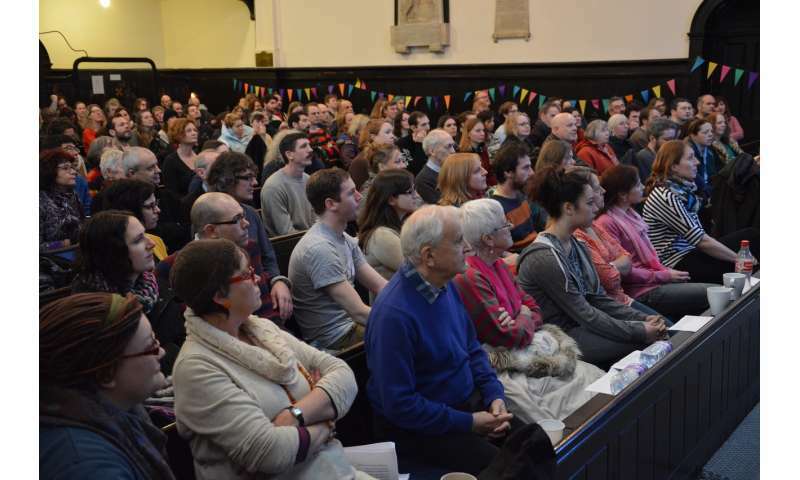 "It is brilliant to have independent confirmation of what we see with our own eyes – people's lives improving," said Sunday Assembly founder, Sanderson Jones. "This is exactly what we wanted to happen. "Society is experiencing a crisis of meaning and belonging. Congregational communities answer the most fundamental human needs for belonging and meaning. The problem is that today, religious stories don't ring true in our increasingly secular age." "If secular quasi-religious organisations like The Sunday Assembly continue to gain popularity," Dr Price said, "they could have a positive benefit on the wellbeing of many people who, for whatever reason, would affiliate more readily with them than with more traditional religious groups." 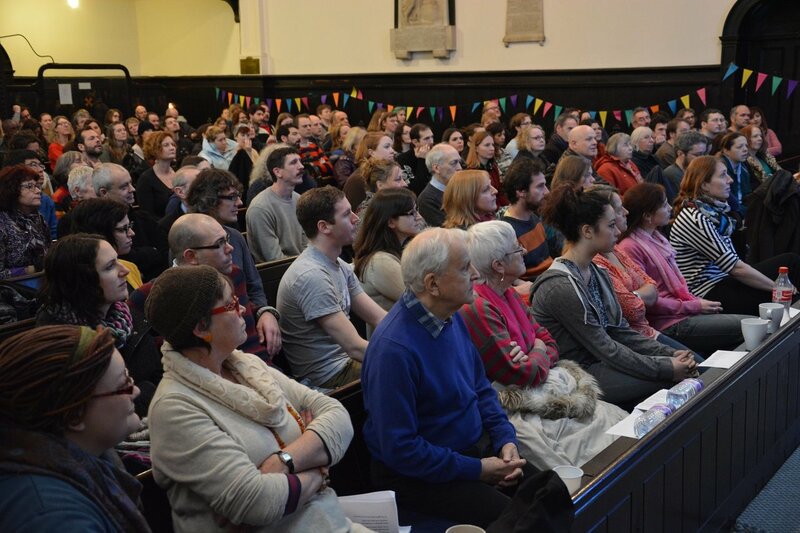 "The increase of social isolation, mental ill health and fractured cultural climate can all be alleviated with a renewal of inclusive, welcoming congregational communities," Jones added.